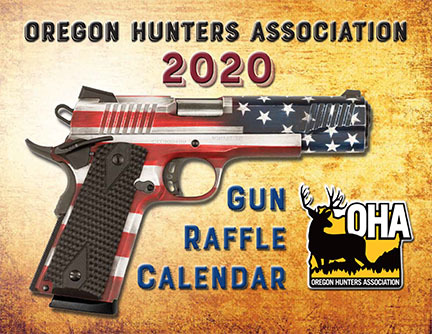 Buy an OHA Gun Raffle Calendar for $50, and be entered to win 1 of 53 great gun prizes in 2020! A gun every week! 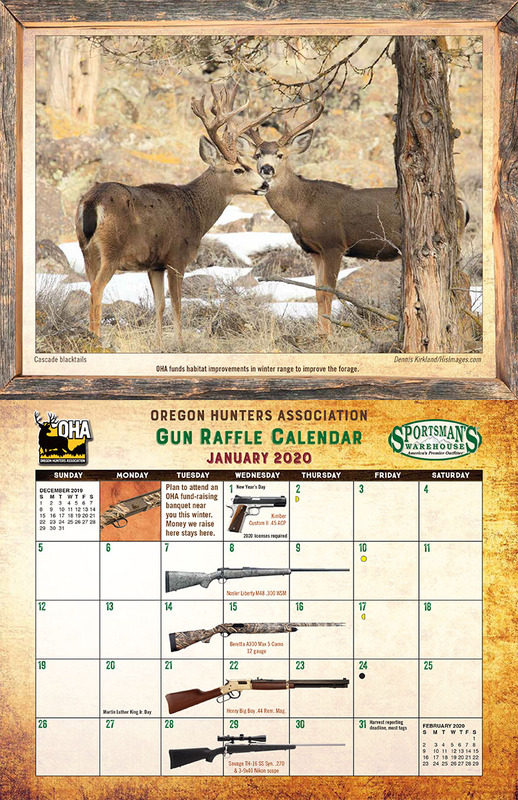 Includes a complimentary new OHA membership (for the buyer if a non-member, or as a gift membership; cannot be used as a renewal or toward pledge life membership) and a $20 Sportsman’s Warehouse coupon. 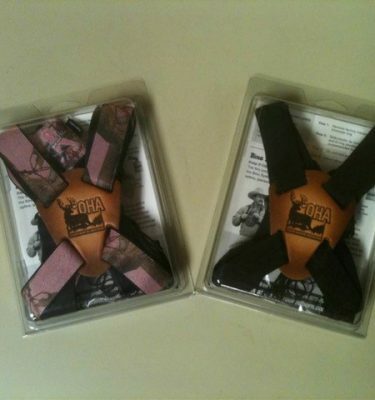 See rules, prize details and values posted here, or contact OHA for more information. For an extra $10, upgrade the complimentary membership to Family Membership and get the quarterly junior newsletter Yearlings.